This is the revised edition. China's Beijing Language and Culutre University, prominently noted for teaching non-native Chinese speakers to learn the Chinese language, has used its nearly 30 years of teaching experience to develop and write the ''Chinese Language Course'' series of textbooks. The series teaches skills in pronunciation, grammar, vocabulary, written, spoken, and listening comprehension, and more. Textbook starts from basic pronunciations, teaches greetings, shopping, food, school life, and more! 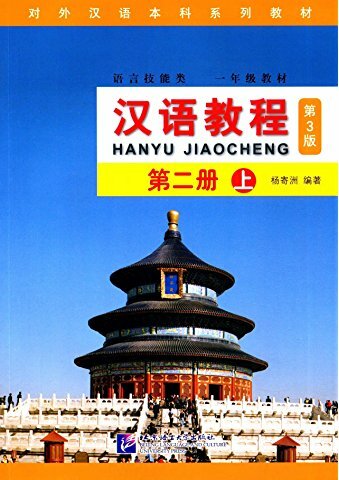 Text is written in simplified Chinese, Pinyin, and English for added learning value. Series is designed for use in the classroom. Self start learners will not find them to be appropriate for individual study. Get the CD for this book. New Paperback 18.5*26 cm, 157 pp. 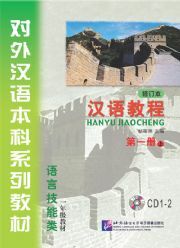 Publisher: Beijing Language & Culture Univ.